Sonoma County D.A. Jill Ravitch is also one of only eleven women elected district attorney in California. She began her career working in the Alameda County District Attorney’s office after graduating from the University of San Francisco Law School in 1987. She moved north and joined the district attorney’s office in Sonoma County in 1990. 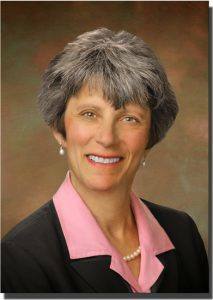 Ms. Ravitch left the DA’s office in 2004 and spent three years in private practice before accepting a position as Chief Deputy District Attorney in Mendocino County where she continued to handle high profile violent crimes cases and supervised a staff of attorneys. She took office as the Sonoma County District Attorney in January 2011. Ms. Ravitch is also a professor of law at Empire College Law School where she teaches criminal law to first year students. On a cold & rainy Wednesday, it was great to see President William and so many fellow Rotarians back at Rotary. Karen Ball got us all off to a good start as we pledged Allegiance to the Flag of the United States of America. A frequent and welcome visitor to our club, fellow Rotarian Dr. Shari took a moment to update us on the joint Rotary Projects around her Rotary home in Guadalajara. Jack Abercrombie introduced his guest, Susan Milstein, from Personal History Productions. Student of the Month Committee Chair Bill Hatcher introduced Piner High School principal, Sally Bimrose, Piner’s Student of the Month Matthew Mulligan and his parents, Susie & Gregory Matthew Mulligan. Program Chair Matt Everson introduced the guest speaker, District Attorney Jill Ravitch (no, wait! That’s next week!!) Then Matt introduced this week’s speaker, Jessica Anderson from the Green Music Center. Jack Geary introduced his guest, Eric Martin from the North Bay Regional Center who is president of the Disability Awareness Program. Wayne Rowlands introduced his guest, Dan Brinker, and thanked him for loaning his laptop to the club for today’s program. Unlike the weather, this week’s report is bright & sunny! Unlike Raffle Conductor Katie Barr, the Raffle still struggles to recover from the recent raid on the treasury by an unmentioned (this time) lucky Rotarian. Bob Sorenson’s “lucky” raffle ticket cooperated in this effort and Bob avoided the Joker again, and walked away with the obligatory $10 booby prize. Warning: This week’s $82 dollars in the jackpot will have grown larger by next week. No one mentioned it last week, so Club Historian Jim Johnson insists on pointing out that the Rotary Club of Santa Rosa, the 1,031st Rotary Club in the world, was founded on October 26, 1921, sponsored by the Napa Rotary Club, and chartered on December 1st that year. 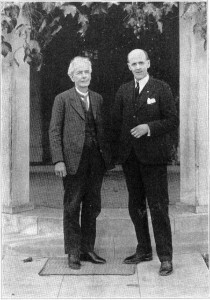 The first regular meeting of our Rotary Club was held on November 2, 1921, with Roscoe Haeglin, vice president of the San Francisco Rotary Club, presiding. This new club was part of District 13 of the International Association of Rotary Clubs, which included New Mexico, Arizona, Nevada, California, and Hawaii. Our Rotary Club was one of five clubs founded during the tenure of District Governor Charles B. Bills of Sacramento. According to legend, the first motion was to make Luther Burbank—Santa Rosa’s most famous citizen (by far)—an honorary member of our club. The motion passed unanimously. Next week, another of our Rotary Club’s community service tradition as club volunteers prepare for the annual Nutcracker Ballet and Christmas Party for 120 children selected from six schools by their teachers. Last week, Carrie Ludtke, Children’s Christmas Chair, put out an urgent call for volunteer shoppers to buy Christmas Party gifts for our young guests. In recent years the annual gift wrapping chore has become an enjoyable Rotary Social and dinner for Rotarians and their families. 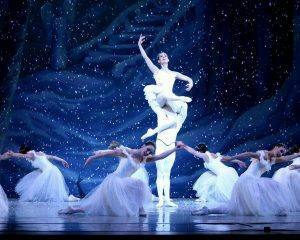 The Nutcracker Ballet performances are presented by the Santa Rosa Dance Theater with the Santa Rosa Youth Ballet Company at the Spreckels Performing Arts Center in Rohnert Park the weekend of December 14 through 16. The children receive tickets for the performance Saturday, Dec. 15th and attend the gala party after the ballet with transportation once again sponsored by the 75 year-old George Peterson Insurance Agency. If our fellow Rotarians would like to participate in the Spirit of Christmas that highlights our Rotary Club’s community service this time of the year, contact Carrie Ludtke. Ask how you can participate. Santa Claus is one of us, but St. Nick can always use some help that evening. The Club meeting for Wednesday, December 12th, will be an evening event in preparation for the traditional Children’s Christmas Party on Dec. 15th. The program will be wrapping the gifts for Rotary’s annual Children’s Christmas Party. Dinner will be served at 5:30 pm at a cost of $20 per adult and $10 for children 12 and under. The evening’s entertainment is planned @ 6:15 pm. Gift wrapping will follow immediately and it is rumored that Santa might swing by for a visit so plan to bring your spouse and children. Inform the Club Secretary if you are planning to attend and the number in your party so that we may plan accordingly for meals etc. All poinsettia plants will be delivered to the Flamingo next Wednesday. The last day for ordering your plants is Friday, Nov. 30th. Please be ready to pay for your order at the noon meeting if you have not already done so. If you cannot be at the meeting, please arrange for someone to pick up your plants for you as there will be no place to store them. President-elect Peggy Soberanis announced that we will drive over with 50 poinsettias for the party for the residents with refreshments and lots of good cheer. Peggy said the party is usually from 2 to about 3 pm. Footnote: Debi Zaft needs Christmas cookie bakers for the Vigil Light refreshments next Wednesday. Check the roster for Debi’s phone and email contact info. President William welcomed a slim & trim Nicole Le Stavko back after her two-month home hiatus with new daughter Loren Lynn. The traditional club collection for Loren’s savings account—to be matched by Nicole—totaled raised $435 for Nicole’s daughter’s savings account. Welcome to our world, Loren Lynn, and welcome back, Nicole. Dictionaries Chair Ted Wilmsen announced that sign-up for volunteers is underway to deliver the 2013 dictionaries to Santa Rosa’s Third Graders. For more details, contact Ted or co-chair Sam McMillan. Children’s Christmas Party Chair Carrie Ludtke needs shopper volunteers to buy Christmas presents for our disadvantaged young guests. The deadline is the Rotary meeting & gift-wrapping party Wednesday evening, Dec. 12th. Contact Carrie immediately. She’s in the roster. President William asked for the Rotarians who participated to pack food at the Food Bank last week to stand and be recognized. The band of 20 hard-working volunteers received a hearty round of appreciative applause. Digital Rotarian: Club webmaster Wayne Rowlands announced this week that monthly issues of the Rotary International Magazine, The Rotarian, are available in digital format as an option for Rotarian subscribers worldwide. The link to subscribe to the digital edition may be found on our Rotary Club’s website. It is your option and entirely voluntary: At any time you may start the digital delivery of the magazine and stop the postal delivery of the printed magazine. Go to the new link for more details. 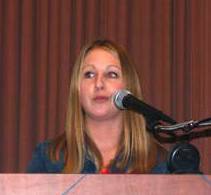 Nominees for election of club officers for the 2013-14 Rotary Year were announced at the Rotary meeting on November 14. Nominees for the board of directors are Doug Johnson, Cathy Vicini, Jack Tolin, and Deborah Smith. The President-elect nominee for the 2015-16 is Jose Guillen. Additional nominations may be made at the next official meeting of this Rotary Club. After nominations are closed a vote of the membership will be called. President William reported that low attendance at Rotary’s weekly meetings is creating a financial shortfall to our luncheon commitment to The Flamingo. Effective in 2013, Rotary’s board of directors increased the missed meeting fine from $5 back to the old $10 fine. Several older Rotarians reminded us that the fine had been as high as $25 per meeting missed some years ago. Adjust that for inflation and give thanks! John McHugh put out another call for volunteers to help the Salvation Army and the Redwood Gospel Mission serve Christmas dinner on Saturday, December 22nd, at the Sonoma County Fairgrounds. Another great “Hands-on Rotary Project”! John Berto was recognized for leaving his Rotary pin stuck to his Red Badge in the badge box so he would not forget to wear it at the next meeting. President William reminded all of us that it can be fiscally dangerous for all Rotarians who do not wear Rotary Pins. We are advised that this was a gratuitous warning for all of our fellow Rotarians. A wondrous project that has been on the horizon of classical music in the North Bay for so many years was brought to life for Rotarians by young Jessica Anderson, associate director of communications for the new music center, with breath-taking photographs and graphics, and words of promise and praise for the remarkable new facility centered on the north edge of Sonoma State University. Jessica left all of us with no doubt that listening to music in the Green Music Center is now on the “bucket list” of every Rotarian after such a brief taste of what awaits our eyes and ears. One of the more fascinating projects of our Rotary Club is the High School Student of the Month recognition. For the past 17 years, Bill Hatcher, the club’s Community Service for Youth Chair, has introduced us to dozens and dozens of high school principals and Super Students with grade point averages that seem impossible, and a summary of high school activities that would stagger an Olympic athlete. This month’s recipient was Matt Mulligan, a senior at Piner High School, who holds the highest GPA of any senior in the class of 2013 (4.77) and while in high school, he earned 50 units in college credit from the SRJC’s Early College Magnet Program. That means that he completed ten or more college-level classes credited toward his graduation. As a result of this opportunity and his hard work, Matt probably will be able to skip at least a year of college. Mulligan has been active in extra-curricular activities too: President of the California Scholarship Federation, president of the Cross Country Club, vice president of the Math Club, and treasurer for the Academic Spirit Club. After school, Matt has been involved in Challenger Baseball, a community service organization that assists special needs students in playing baseball, plus he’s been on the cross country & track teams for four years, qualifying for North Coast Section finals in track last year and participating in the state competition for cross country three times. Through all these accomplishments, Matt Mulligan has overcome great adversity. Since birth he has suffered from an illness called Hydrocephalus and has undergone seven surgeries to remedy the side effects of the disease. Even so, he has great plans for his future and hopes to study pre-law or chemical engineering at Claremont-McKenna College, pending acceptance through early admissions. He sets high goals for himself and achieves them through determination and perseverance. Matt’s parents have taught him not to take life for granted and his track coach, Mr. Rosales, has taught him the value of hard work. 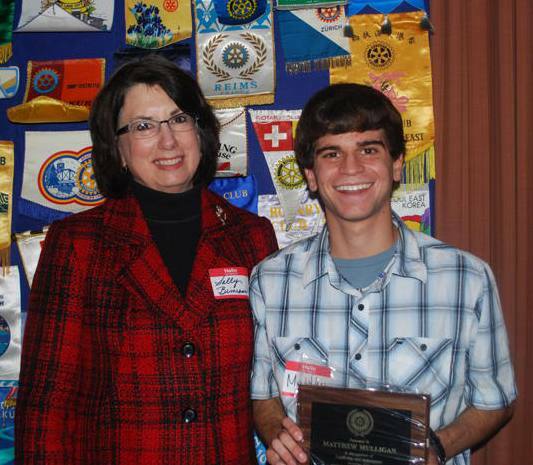 Remarkably, Matt is the most recent in a long line of high school students recognized over the years by the Rotary Club of Santa Rosa. The historical archives of this Rotary Club indicate that Santa Rosa’s youth have always been supported in many difference projects and efforts in the years before the Crash of ’29 and the Great Depression of the 1930s. Some of Santa Rosa Rotary’s earliest club rosters mention scholastic achievement as an early avenue of community service at least 75 years ago. For years the birth date for Rotary was celebrated as February 25, 1904 and not February 23, 1905. Why was the date changed? 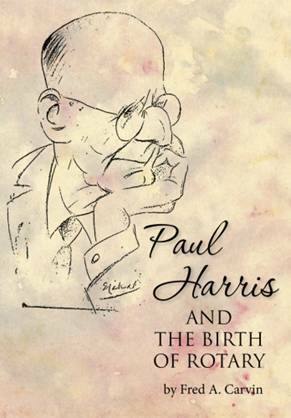 Paul Harris almost let Rotary die in 1906 due to a failed relationship with a young socialite. How did this event change the course of Rotary? Paul Harris refused to attend any Rotary International Conventions from 1912 to 1930. What were the reasons he stayed away for over 18 years? Who were the men and women who influenced and helped him start one of the world’s greatest organizations? 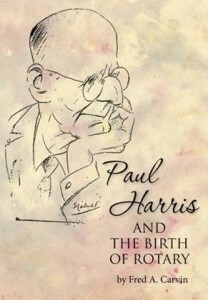 If you want to learn more about “Paul Harris and the Birth of Rotary” visit Carvin’s web page at http://www.PaulHarrisBook.com where it can be purchased on-line by following the links to either CreateSpace or Amazon.com. ($25.00 plus S&H). A copy of the book autographed by the author can be ordered directly through Fred Carvin at a total discounted price of $21.50. Please e-mail FredCarvin@PaulHarrisBook.com and I will mail you a copy. Please be sure to include your address in the request. The book is also available for downloading through Amazon.com. The cost for the downloaded version is $ 20.00. This book is not a history of Rotary but rather it’s the story of one man’s life long struggle to find his inner self and how his philosophy changed the world. If you have any questions or need additional information, please contact Fred A. Carvin through his website.